Hello! 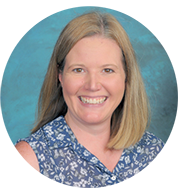 My name is Meredith Arldt and I am blessed to serve as Assistant Principal at Aliso Viejo Christian School. With over ten years of school administration experience and an additional ten years of classroom teaching experience, I believe God has prepared me with a strong skill set needed to serve the students and families of AVCS. I have been married to my wonderful husband, Mike, for twenty years after meeting him on a blind date set up by my father no less! We have two amazing boys, Will and Sean. Will is a recent graduate of Orange Lutheran High School and Sean is starting his junior year at Crean Lutheran. Most Fridays, during the fall, I am cheering on my son and his Crean Saints Football teammates. Go Saints! Evenings and weekends provide me with time to spend with my family at one of our favorite places, Disneyland. And while Disneyland is “the happiest place on earth”, my happy place is definitely the beach. I love to relax and read with my toes in the sand. Down time at home is filled with reading, cross stitch, and working on puzzles.